Are you loving the vintage vibe that’s overtaken the fashion industry? We definitely are and it’s looking like CARRERA is, too. They’ve debuted two new fabulous sunnies in straight ‘70s style, but with a touch of modern flair. The new models, CARERRA 5530 and CARRERA 6630, by Safilo Group, capture the groovy days of the disco era with their vibrant colors and geometric shield design. Both frames are made of Optyl—an ultra-lightweight, strong and hypo-allergenic plastic material with unparalleled color effects. 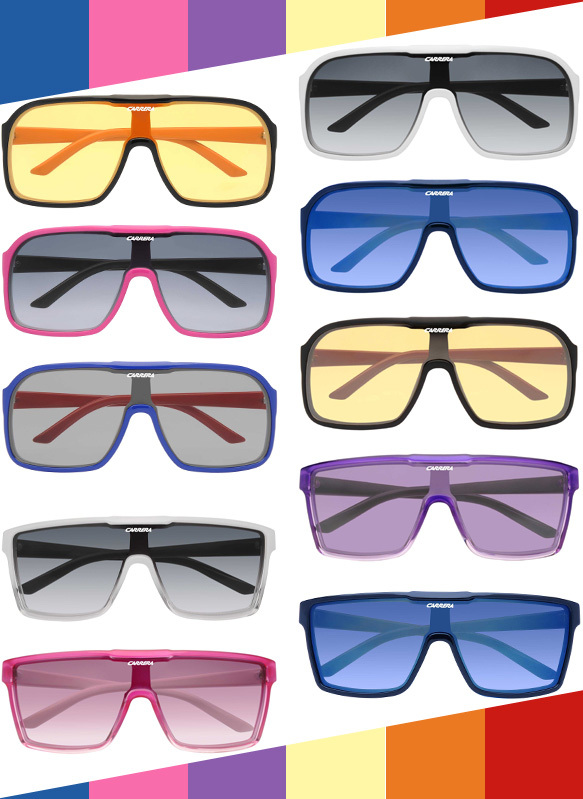 We have to admit, it’s pretty hard to beat the quality, colors and design of these bangin’ shades. Go ahead, feast your eyes upon CARRERA’s newest additions. You won’t be disappointed.